This post should give you a better understanding on how to get from Tirana to Ohrid by bus. If you have ever been to Albania then you probably know that the bus system can be a tricky one to navigate. Of course, locals are familiar with it all, however, for people visiting it can be quite confusing. We went from Budva, Montenegro, to Tirana, Albania’s capital and ended up taking three different buses just to get to Tirana. Whenever the bus stopped to drop people off and pick people up, a lot of the times, it was at seemingly random places, with no bus station in sight. While it’s relatively easy to take a bus to Albania, it takes a little more research and asking around to figure out how to exactly leave the country. We got dropped off at, what looked like a bus station, and was surprised to not see a ticket counter and upon reading up on it I realized that’s because there isn’t one. 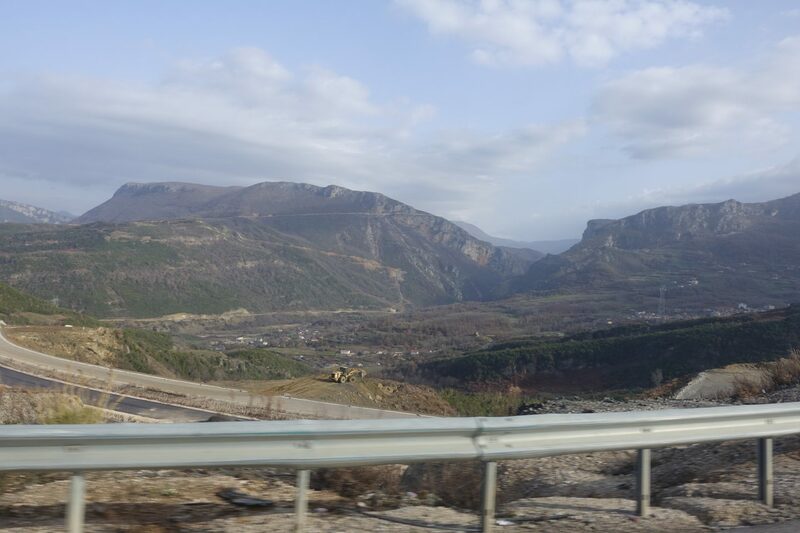 Our plan was to travel from Tirana, Albania to Ohrid, Macedonia by bus and this is how we did it. 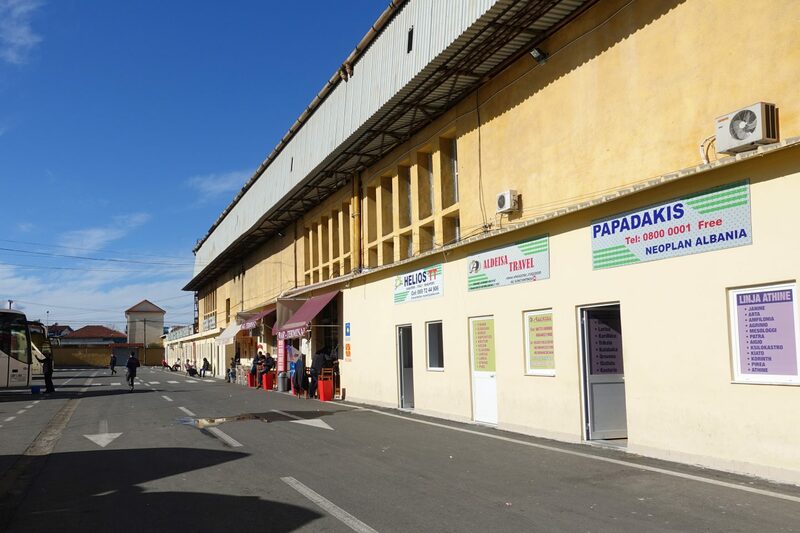 Upon looking into it we saw that there is a bus station with ticket counters right behind the Tirana Ring Center, the Tirana Central Bus station. If you punch it into google maps it should lead you directly to the bus station. It’s literally right behind the Ring Center. Make sure to ask around, should you have trouble finding it. At the Tirana Central bus station, you have heaps of bus companies selling tickets to places all over Europe. 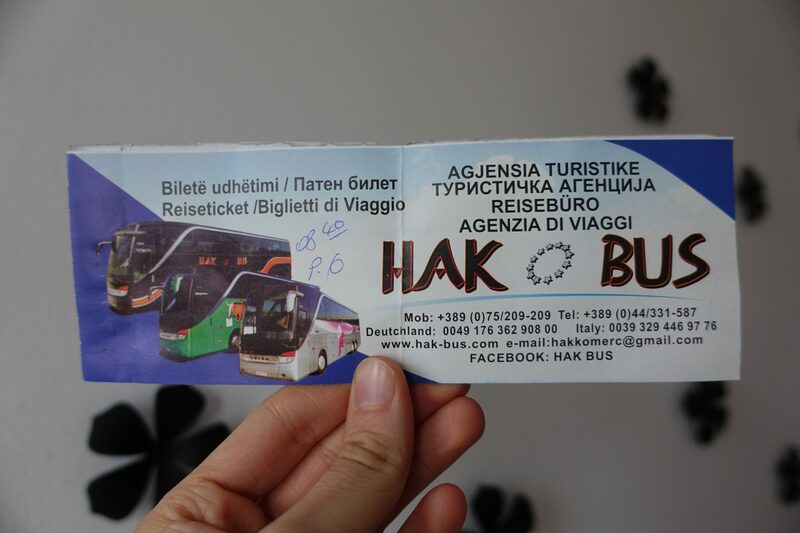 There are only one or two tour companies selling tickets to Macedonia and we went with HAK Bus. Unfortunately, our research revealed that, as of February 2018, there seem to be no direct buses from Tirana to Ohrid and we, therefore, bought tickets to Struga, Macedonia which is roughly a 20 minutes drive away from Ohrid. A single bus ticket from Tirana to Struga was 1,750.00 ALL which translates to 13 Euros or 16 US Dollars. The woman who sold us our tickets was incredibly friendly and upon inquiring about luggage fees confirmed that there are no luggage fees on their buses to Struga. We just came from Montenegro were we ended up paying the equivalent of 2,50 USD for our backpacks and a little over 1 USD just to get to our bus gate and were relieved to hear that there are no extra costs for buses to Montenegro. 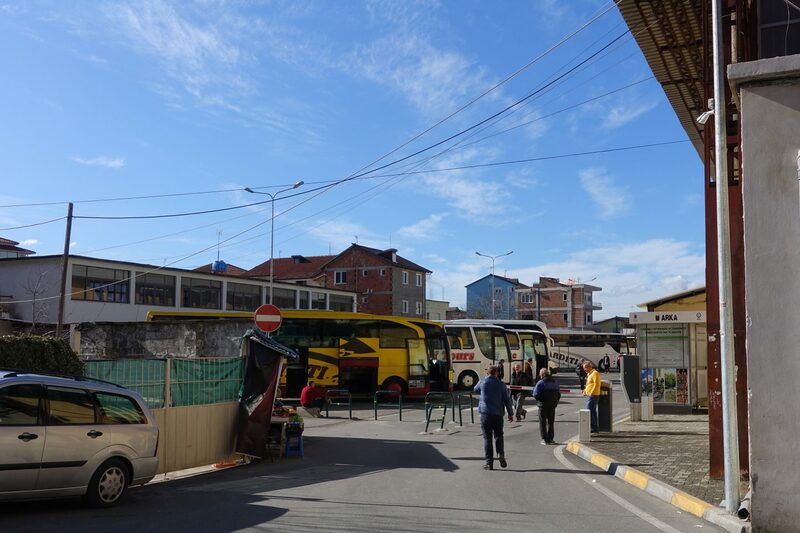 Buses to Struga go two times a day, at 9 AM and at 4 PM. We decided to go with 9 AM and were advised to be there at 8:40 AM, just to be safe. On the day of our departure, we were greeted with our names by the lovely woman who sold us our tickets the day before. She checked us in and we departed, right on time, at 9 AM. The bus we took was a minibus and the ride to Struga took roughly 4 hours. It’s worth mentioning that we stopped at the border for roughly 20 minutes and had all our luggage as well as personal items examined. This is a standard procedure and as we were roughly 12 people on the bus, the procedure was fairly fast. We ended up getting dropped off at the main bus station in Struga were we were immediately approached by a fairly aggressive cab driver insisting that he’d drive us to Ohrid for 10 Euros (600 MKD). Cab rides from Struga to Ohrid should not cost more than 300 MKD, and even that is considered a bit pricey by Macedonian standards. 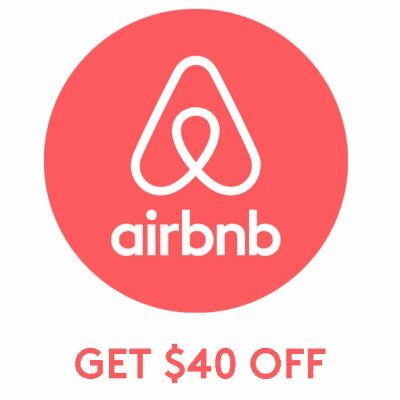 The local rate is around 180 MKD. The cab driver followed us into the bus station, left and came back with a counteroffer of 5 Euros. He kept talking to us and I was starting to feel really uncomfortable and just kept ignoring the dude. He insisted that local buses were 2 Euros and that taking his cab would be a good deal. Well, he was full of poop and why he kept mentioning Euros, given that the national currency is Macedonian denar, is beyond me. We asked the woman behind the ticket counter where we could buy tickets to Ohrid and she helped us mark the bus station we would need to go to on Google maps. It took us roughly 15 minutes of walking to reach it. At this bus station, heaps of local minibusses depart every couple of minutes. Locals get on and off and it can be a little tricky to figure out which bus takes you to Ohrid. It’s best to ask locals which bus you’d need to take to go to Ohrid. We ended up asking bus drivers and locals and upon asking a lovely woman about which bus to take to Ohrid she watched out for us and told us immediately that THIS bus is the one. Please bear in mind that the bus taking you to Ohrid is a minibus with no space for luggage. If you have a gigantic suitcase or backpack bigger than 40L then I’d advise you against taking the bus. Although our 40L backpacks are fairly small we were cramped and had to be mindful about not hitting other passengers with our luggage. The bus ride took roughly 30 minutes, stopped at various places and dropped us off right in the center of Ohrid. The bus ride from Struga to Ohrid ended up being just 50 MKD per person which is roughly $1. thanks for sharing the post, as I’m trying to get from tirana to ohrid by bus. where are you now? Thank you for info….. it was helpful…..just to let you know, there is a direct bus to Ohrid at 2pm….ticket price 17 euro…. I just took this yesterday. It’s Euro Bus (counter 6 at the bus terminal.) I was told it only runs in July and August, though. Thank you for sharing wonderful experience. Base on your experience, do u think a single lady traveler are safe and comfortable being alone at Albania? I am planning to travel from Albania to Macedonia alone. I also went to the Hak Bus office in the Bus Terminal, and there is an info hanging outside that there is everyday bus on 2 PM. I bought tickets and it was for Eurobus company, cost was 17 EUR / 2200 ALL. I could have left my luggage in the office (free of charge), as I still had 2 hours left and didn’t want to carry it with myself. Bus was 1:30 PM on the terminal, and left even earlier than 2 PM, so it’s better to be there 15 minutes before scheduled departure. Minibus was nice, air conditioned, with additional box for luggage. Driver was nice even though he was smoking during the ride (nothing exceptional in Albania). There was 10 people on board, the trip took only 3 hours with like 20 mins spent on the border (didn’t have to walk out from the bus). Bus stopped in the Ohrid city centre, so we also didn’t have to take a taxi from bus station (which is 2 km away next to nearly nothing) or Struga. Thank you so much for sharing your experience! That’s a much better bus route! I remember someone telling me that the connections tend to be better in the busier months and unfortunately I was there during the off-season. Hi Daniel and Ninja. We want to do this trip in a weeks time as a 2 day trip returning to Tirana as we fly to Rome from there. We’re at the tail end of 7 weeks in the Balkans – so my question is – was Orhid worth the effort? It depends on what you are into, really. When it comes down to it, it’s all personal preference. I LOVED Ohrid and everything it has to offer. It’s really beautiful, serene and I plan on going back in the summer. When I was there it was freezing! I have just taken the small Euro bus (Hak) from the bus station behind the ring shopping center . Direct to Ohrid, only border stop.Did not check our luggage only passports. Easy. The price was a bit steep for a 3 hour journey 17 euros, but hastle free. Thank you so much for sharing! Awesome that they didn’t check your luggage and only your passports! That’s a lot easier than having to get out and having everything checked manually. I agree, 17 Euros is definitely a little steep. Sounds like it was worth it though! We went to that same office yesterday and were told the direct buses to Ohrid stop today (for the season, I suppose) so we’ll be changing at Struga too! Thanks for sharing the information, it is really helpful. I am planning to visit Tirana and Ohrid in coming Feb, so I may have to take the HAK bus there. Meantime, I would ask if it is difficult to have public transportation around Ohrid because I may want to visit Bitola for a day trip as well. Thanks Nina. I will be staying at Ohrid for 4 nights, so I am planning to spend day trips visiting cities around there or I may have to see if there are local tours for me to join when I am there then. I’m doing this exact trip tomorrow! I looked online and it said that the only HAK bus running to Struga is from 7pm to midnight for 6 euros. I’m hoping this is wrong, because I do not want to arrive after midnight. Were you able to see any info online before your trip? Doing this journey today (18Jan’19), off season (Oct to Mar) there are only 3 buses to Ohrid (via Struga) and they depart at 09hrs, 16hrs & 19hrs. I’m taking 16hrs bus and has been told that will be idropped off in Struga at 19.30hrs (that’s 3.30hrs journey including passport control). Ticket cost is 10€ or 1300Leke. Yet to board the bus to Struga so can’t comment on journey beyond to Ohrid. 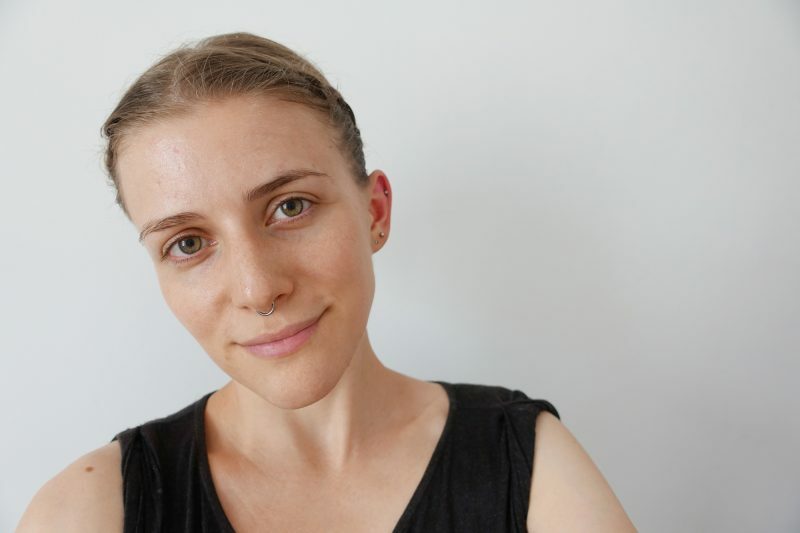 Will update later today or tomorrow..
@ Nina: Buses to Ohrid doesn’t go from same bus station we were dropped- you say there is walk of 15mins where one can get bus to Ohrid. Do you know the name of that place or coordinates? Also any ATM on Struga bus station where I can withdraw some MKD upon arrival? Apologies for my late reply! Given that you did this journey a couple of days ago, my advice comes a little late.